Wie Blizzard in einer Pressemitteilung bekannt gab, kommt Diablo 3 Anfang November, genauer gesagt am 2. November 2018, für die Switch auf den Markt. Erst vor Kurzem wurde von der Spieleschmiede erklärt, dass Diablo 3 tatsächlich für die tragbare Konsole erscheinen würde. Die Kampagnen, der Abenteuermodus sowie die Saisons und deren Belohnungen würden für die Switch implementiert werden. Für 59,99 US-Dollar (umgerechnet etwa 49,99 Euro) könnt ihr das Spiel ab Release im Nintendo eShop erwerben. Wer möchte, kann sich in der Zwischenzeit Jessis Feedback zu Diablo 3 auf der Switch anschauen. Er hat diese Version nämlich schon fleißig auf der Gamescom 2018 ausprobiert und sein Fazit für euch im Video zusammengefasst. Diablo III Eternal Collection for Nintendo Switch will be available on November 2 at retail stores everywhere and digitally through the Nintendo eShop at a suggested price of $59.99. 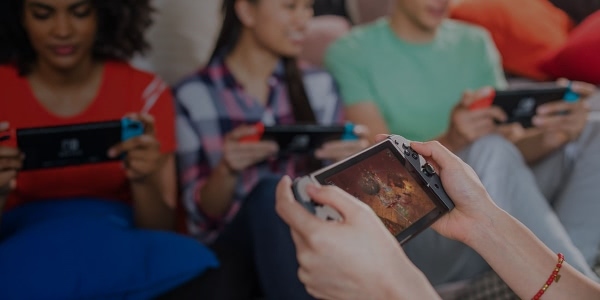 For more information, visit https://www.nintendo.com/games/detail/diablo-3-switch. For screenshots, video, and other media, visit the Blizzard Entertainment press site at https://blizzard.gamespress.com/Diablo-III. *Sales and/or downloads, based on internal company records and historical reports from key distribution partners. Information in this press release that involves Blizzard Entertainment's expectations, plans, intentions or strategies regarding the future, including statements about the availability, features, and functionality of Diablo III Eternal Collection, are forward-looking statements that are not facts and involve a number of risks and uncertainties. Factors that could cause Blizzard Entertainment's actual future results to differ materially from those expressed in the forward-looking statements set forth in this release include unanticipated product delays and other factors identified in the risk factors sections of Activision Blizzard’s most recent annual report on Form 10-K and any subsequent quarterly reports on Form 10-Q. The forward-looking statements in this release are based upon information available to Blizzard Entertainment and Activision Blizzard as of the date of this release, and neither Blizzard Entertainment nor Activision Blizzard assumes any obligation to update any such forward-looking statements. Forward-looking statements believed to be true when made may ultimately prove to be incorrect. These statements are not guarantees of the future performance of Blizzard Entertainment or Activision Blizzard and are subject to risks, uncertainties and other factors, some of which are beyond its control and may cause actual results to differ materially from current expectations.